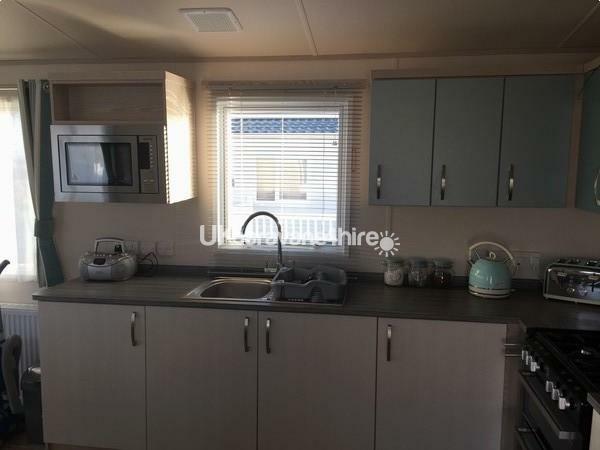 Our new ABI 2 bedroom caravan on Silver Sands is situated in the coastal town of Lossiemouth on the moray coast close to all amenities. 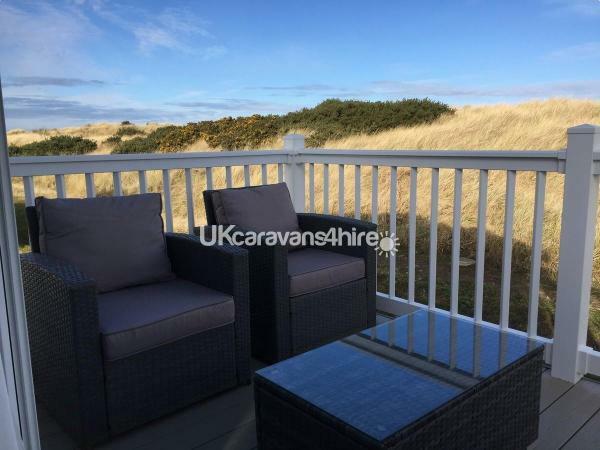 Our caravan is on the edge of the sand dunes so a 1 minute walk to the gorgeous beach. Patio doors from the lounge lead out to the patio decking which has seating for 4. The lounge and all rooms have USB sockets in them great for charging all your devices. 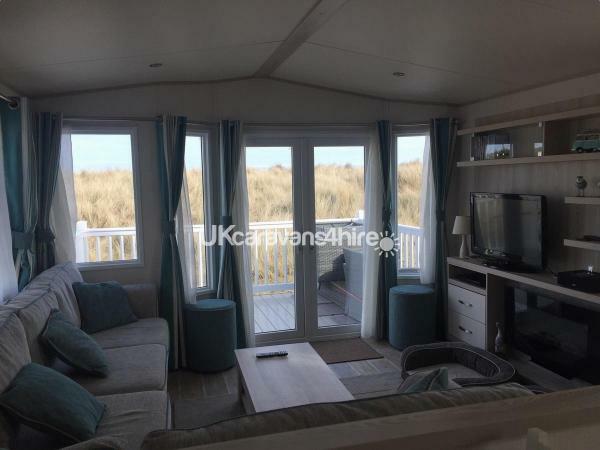 The corner suite, sitting area also has a pull out bed which makes the caravan into a 6 person caravan. There is plenty of seating in the lounge which also has an electric fire plus gas central heating radiators in all rooms. The lounge has a flat screen 32" TV with DVD player, I phone docking station and a radio/cd player. The dining area has seats for 4. 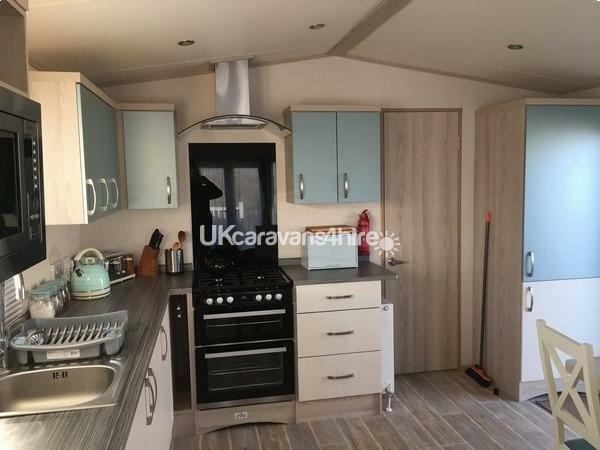 The spacious kitchen has a full-size fridge freezer, gas hob and oven, combi microwave, kettle and toaster. 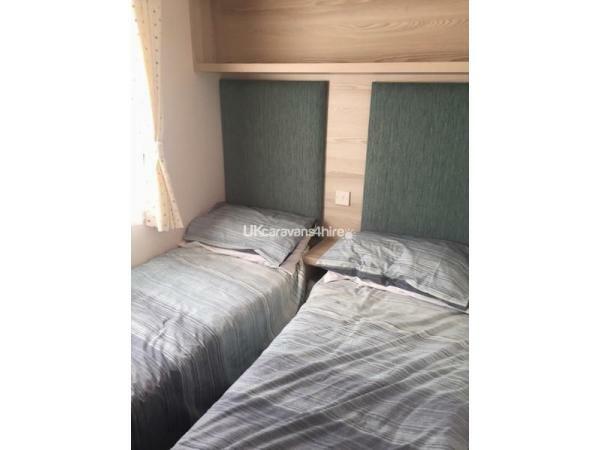 There are 2 bedrooms, 1 twin and 1 double. 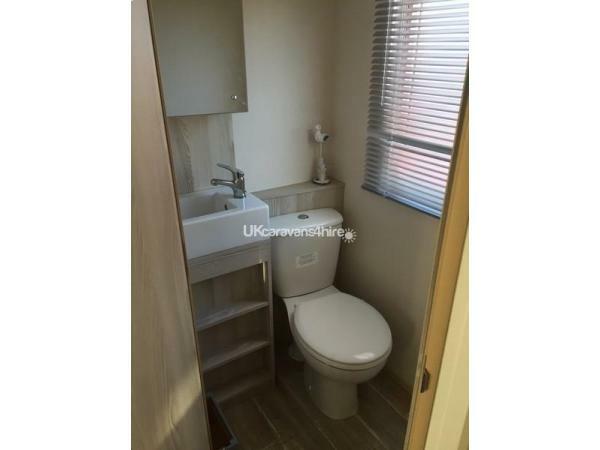 The main double bedroom has a an en suite toilet. Both bedrooms have upholstered headboards and deep fully sprung mattress for extra comfort. 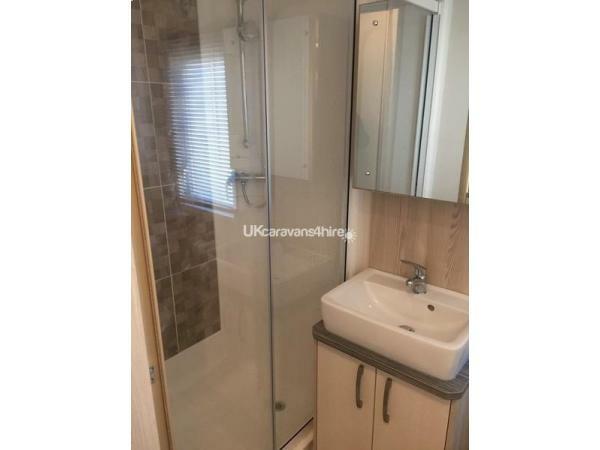 There is also a family bathroom with large walk in shower and port for shaver and mirrored storage. 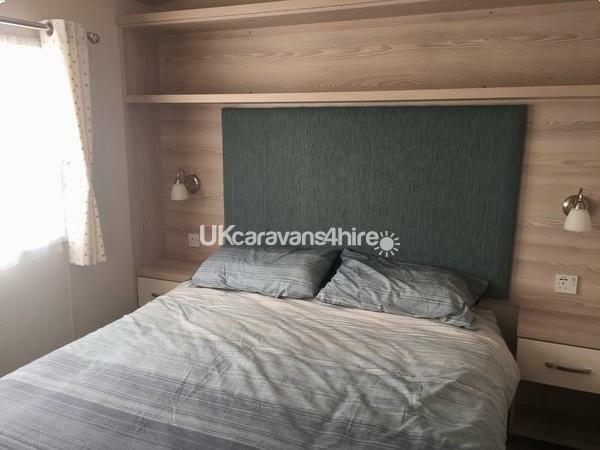 The master bedroom has a king size bed with en suite with sink and toilet, triple wardrobe with a vanity unit and dressing table and a wall mounted flat screen TV. If you have any questions at all then please don’t hesitate to ask. We had a great time in this lovely caravan. Right next to the beach which kids loved. Everything was great from booking to our stay. Hoping to return later in the year. Would highly recommend. 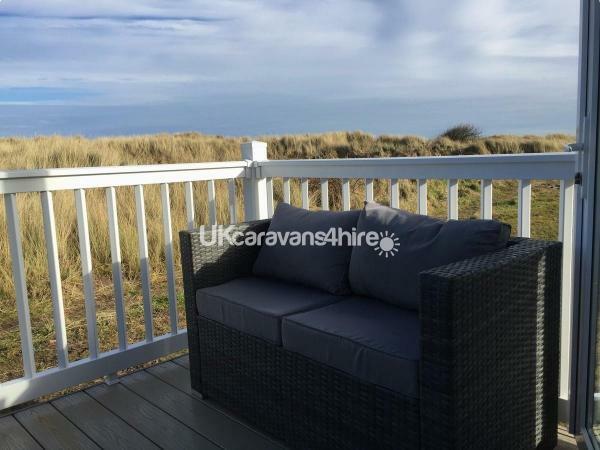 We had an amazing time at this caravan, caravan was spotless and great location just minutes from the beach,our dog loved this ? 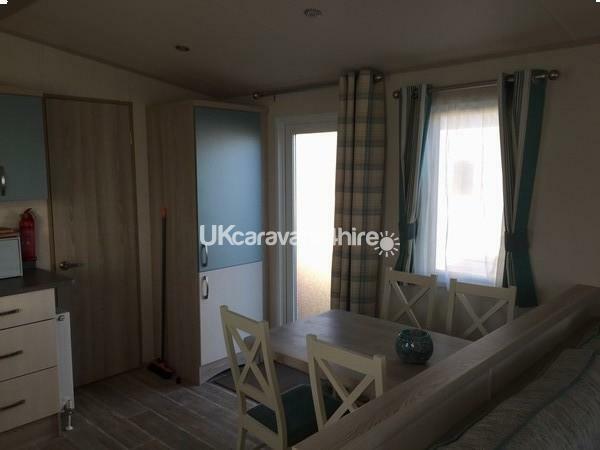 Would recommend this caravan and will definitely return again in the future.